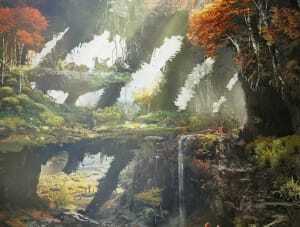 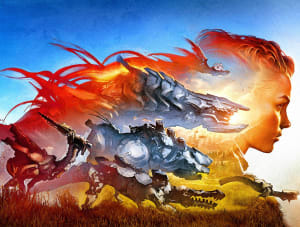 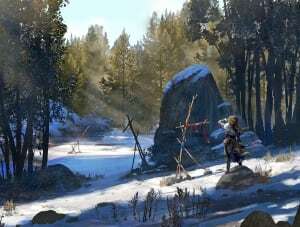 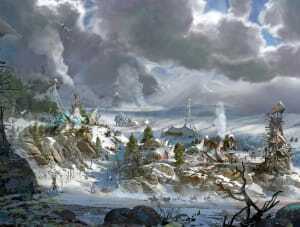 Concept art prints from the video game Horizon Zero Dawn, created by game studio Guerrilla Games. 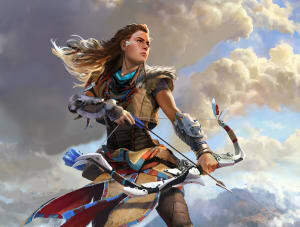 Horizon Zero Dawn is the latest award winning game from the creators of the lauded Killzone series, Guerrilla. 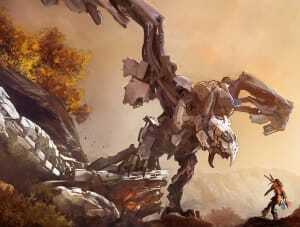 Horizon Zero Dawn is an exciting action-RPG set in a lush, beautiful open world. 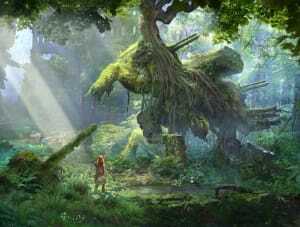 It is a world where nature has reclaimed the ruins of a forgotten civilization; where pockets of humanity live on in primitive hunter-gatherer tribes, and where fearsome Machines roam the land. 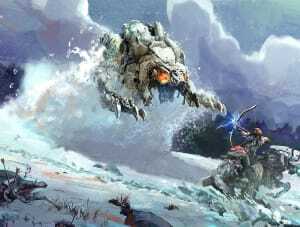 Players assume the role of a young Machine hunter named Aloy as she embarks on a quest to find her destiny among the mysteries of the past.